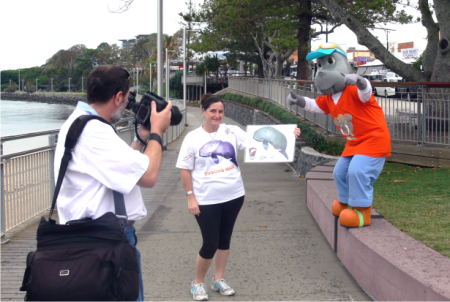 Dug helps Angie get the message across to the Redcliffe herald photographer. Dugong facts supplied by DUG! The Dugong Collective © 2019. All Rights Reserved.